At Splash Canyon VBS 2018, children dive into five exciting Bible stories that show how God keeps His promises on life's wild ride. Each lesson clearly distinguishes between God's Law and His Gospel—helping children understand how the person and work of Jesus Christ fulfills the Law—and offers us the free gift of salvation from sin and death. The "What does this mean for us?" 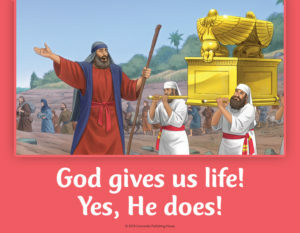 section helps children apply God's Word to their everyday lives. Check out the five lessons and the artwork from Splash Canyon below. Gospel: God’s answer is yes! God promises He is with us today and always—no matter how wild the ride. God keeps His promises to be with us in Jesus, His beloved Son. God provides caring people to be there for us, to rescue us, and to comfort us along the way. What does this mean for us? 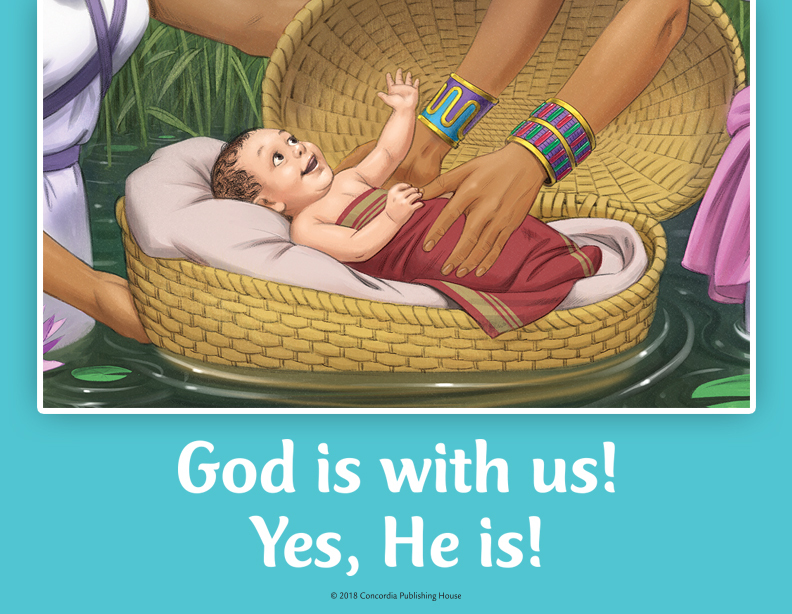 Baby Moses was in overwhelming danger from Pharaoh. God was with him and saved him using Pharaoh’s own daughter. God said yes to His people Israel and sent Moses to rescue them from slavery to Pharaoh. God said yes to us when He sent Jesus to deliver us from the slavery of sin and to bring us to our promised land, our forever home with Him. Yes, God is with us—today and always. Law: Apart from Jesus—and because of the devil, the world, and our sin—life’s wild ride is full of obstacles and has more spills than thrills. God promises help, direction, and deliverance, yet we say, “No! We’ve got this!” But we don’t. Gospel: God says yes to us through Jesus, who saves us and gives us life, now and forever. Through His Word and in Baptism, our loving God gives us faith and life, now and forever. What does this mean for us? God kept His promise to His people. He led them from the desert, heaped up Jordan’s waters, and made a way for them to enter the Promised Land. For us, Jesus is God’s Way. Jesus is God’s Yes to us. Led by Christ through the waters of Baptism, we leave the desert of sin, death, and Satan and enter into the promised land of His heavenly kingdom. What does this mean for us? What God promises and what’s impossible for us, He does. That’s faithfulness. God delivered on His promise to do the impossible and heal Naaman. 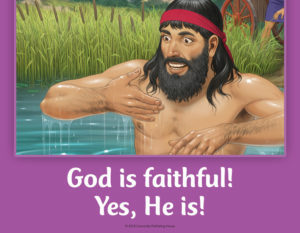 God is faithful to us. We can trust His Word. God’s promise is a faithful Yes in Jesus, whom God sent to heal us from our sin-sickness when He died and rose again. say “No!” to God. We’re in danger of drowning in sin and despair. Gospel: God promises hope today and always. And God keeps His promises! 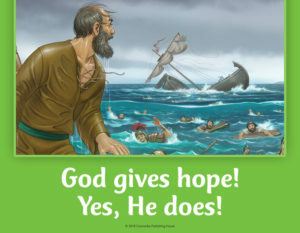 Through faith, we ride out the storms of life with Jesus, God’s Yes, who anchors us in the hope of our salvation. We share Jesus and His hope as we serve others and give God glory. What does this mean for us? In spite of a wild storm, God kept His promise to Paul that he would witness to Jesus in Rome. Whatever crisis is tossing us around on the white water of life, God’s Yes, Jesus, our Savior, rides out the storm with us. God keeps His promises. He did not abandon His people, and He will not abandon us. God’s faithfulness in the past sustains our faith, His presence with us now fills us with His love, and we wait in hope for our eternal joy, peace, and life in God’s presence. Law: Our sinful nature says no to God’s promise of a Savior and all His gifts. We don’t see the danger; so we don’t think we need to be saved. But we’re wrong. beloved Son.” Jesus was baptized “to fulfill all righteousness” so that our Baptism might grant us forgiveness of sins and rescue us from death and the devil. What does this mean for us? Jesus’ Baptism in the Jordan River was a plunge into the wild ride for our salvation. The sinless and beloved Son of God took on the sins of the world and fulfilled God’s prophesies and promises for the Messiah, our Savior. His life, death, and resurrection was Yes as God kept His promises to us in this life and in eternity. Want to learn even more about the lessons in Splash Canyon VBS 2018? Download our free Lessons at a Glace sheet to print and share with your church! Materials from Splash Canyon VBS Director's Guide. © 2017 Concordia Publishing House. All rights reserved. 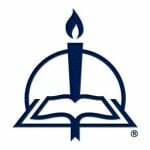 Pam Nummela is Senior Editor of VBS for Concordia Publishing House. A teacher and Director of Christian Education, she’s thankful for how God has worked in her as a VBS student, volunteer, director of large and small VBS programs, and now as editor. 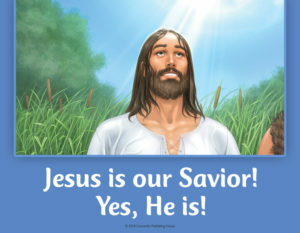 Jesus + VBS = JOY!